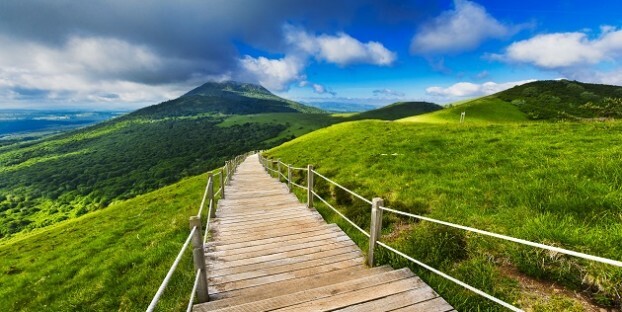 France is a large country with many wonderful places to visit. There are inevitably places that draw more tourists; cities like Paris and Bordeaux, famous sites including Mont St Michel or the chateaux of the Loire and favourite holiday destinations including beach resorts and ski resorts all attract thousands of people to visit each year. But there are still some parts of France that British tourists tend to overlook. We’ve compiled a list of five places you may not have been to yet and reveal the hidden gems you’ll find there. The Auvergne region is characterised by a dramatic wild landscape of beautiful river gorges, forests, lakes and volcanic mountains including the incredible Puy du Dome. It’s the perfect place to go if you love being in the great outdoors with opportunities for hiking, kayaking, canoeing and climbing. Less adventurous travellers can get a great view of this wonderful region by taking the scenic train ride from Riom-es-Montagnes to Lugarde. Other attractions of the Auvergne include thermal spas that use the unique geology of the region to offer relaxing spa treatments, the huge Garabit Viaduct designed by Gustave Eiffel to provide a rail route to span the Truyere River that’s still in use today, and a cheese trail where you can try the five famous AOP cheeses produced in the region. Situated in Southern Brittany this beautiful area of coastline is often overlooked in favour of it’s famous neighbour the Quiberon peninsula. 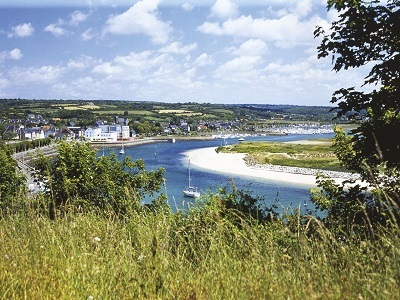 The Rhuys Peninsula stretches for 25km with the sheltered northern edge skirting the Gulf of Morbihan that’s home to salt pans and oyster farms that thrive in the tidal environment. The southern section faces the Atlantic Ocean and offers sandy coves interspersed with rocky outcrops; ideal for coastal walks with panoramic views over sea and islands. Don’t miss the chance to see Chateau de Suscinio, a majestic fortress built by the Dukes of Brittany in the 15th century and surrounded by salt marshes. Perhaps the least obvious holiday destination of the Languedoc, Gard is actually a fascinating place with much to offer in terms of landscape and important historic sites, it even has a small stretch of Mediterranean coastline. There are two huge National Parks here protecting the unique wildlife and habitats of the Camargue and Cévannes – perfect for nature lovers and keen photographers who can capture the breathtaking scenery. 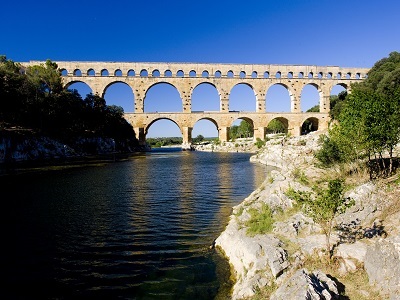 The most famous site in Gard is undoubtedly Pont du Gard the huge Roman aqueduct found here, but look a little further and you’ll discover many more Roman sites giving you a real insight into the historical importance of the region. If you are looking for beaches with space to breathe look no further than the Landes coastline in Aquitaine. The Atlantic provides exciting opportunities for surfing, kitesurfing and windsurfing with conditions so good that Hossegor is a mecca for surfers and host to a major annual surfing competition. Beaches are huge and rarely crowded even in peak holiday season and coastal resorts like Mimisan and Biscarrosse offer all you could want in terms of markets, restaurants, cafes and bars with a relaxed, surf-chic vibe. Landes is also where you’ll find Europe’s tallest sand dune Dune du Pilat. Cherbourg lies on the Cotentin Peninsula and it’s easy to disembark from the ferry and rush off to holiday destinations further afield but this wonderful part of France could be the perfect place for your holiday. The coastline is dotted with pretty fishing villages and unspoilt sandy beaches warmed by the Gulf Stream. The local seafood is exceptional with locally grown oysters and mussels a speciality of the region. Enjoy sea views and nature spotting on coastal walks or try sailing or sea kayaking. Spend a day on the beautiful tidal Ile de Tatihou where visitor numbers are strictly limited to protect the ecosystem of the island. See Vauban fort and museum, visit the tropical botanical gardens and explore the beaches, rock pools and oyster beds that fringe the island. Self-catering holiday homes are a wonderful choice of accommodation if you want a less touristy holiday because you can stay in towns and villages full of real French life instead of being tied to traditional holiday resort destinations. We have over 3,000 properties all over France for you to choose from so you can find a place to stay that lets you discover the places in France most tourists never see! Our pick of the 2016 events in France – plan your trip!